Buddy Holly is a name known throughout the ages and music tastes. Sadly his career was cut short in a 1959 plane crash, but his work will always be remembered as an innovative and influential force in rock and roll. His biggest hit “That’ll Be The Day” was a best seller in the US, and UK charts and Clovis, New Mexico is where the magic was made! Norman Petty studios opened in Clovis in 1956. Home to label ‘Nor-Va-Jak’, records produced here have been distributed all over the world. Your guide, Ken Broad was a close friend of the Pettys and after being left trustee of the studio in 1992 Ken made it his mission to preserve the studio as if Buddy Holly himself had just wandered out for a quick taquito! Ken’s passion for this piece of musical history is unmissable as he tells of Petty’s great work and plays classic Holly tracks. The entrance way is a feast for the eyes, covered in vinyls, cover art, memorable awards and photos of the old Nor-Va-Jak crew. This room was used as an isolation room when recording multiple artists, complete with windows between booths and complete sound insulation. Many elements were inspired by the New York studios Petty visited just before building his own. Don’t miss the original coke machine and clock! The mixing room is fascinating with the orginal speakers just as they were installed, “Only one vacuum in 1985” Ken promises. You can see their vinyl cutter – and what a vinyl looks like before the grooves too! The desk is just as it was back in the day, with the small addition of a CD player so that you can listen to a few of the famous tracks mixed right in that very room. The chair behind the mixing desk was Buddy Holly’s spot for listening to recordings – a photo is a must. Further into the studio you get to make some noise! Tap on the Keyboards that created memorable melodies in ‘Everyday’ or sing into the microphone that recorded ‘True Love Ways’. Instruments are abound here – even an original Celesta – definitely a highlight for music buffs. Intriguing memorabilia covers the walls in this room and Ken can talk to you about every piece of it. The rest of the building is the studio’s apartment. With a full kitchen, bathroom, three beds and a lounge, artists were invited to stay here while recording. For as long as it took. Norman believed music should not be rushed so charged by the album rather than the hour. A unique idea even back then. The apartment has some fabulous retro relics to check out too, a huge silver gramophone and one of the first microwaves – which still works! I worked as a session bassist for Norman from January 1978 until he became ill around 1983. 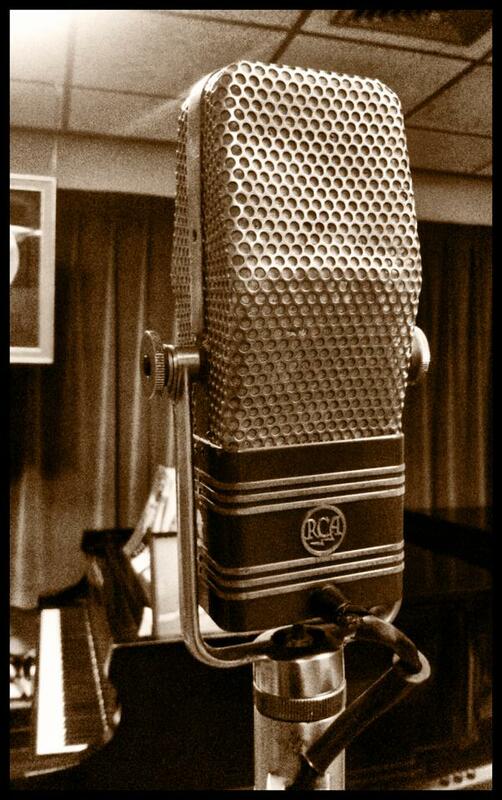 I’ve walked by that RCA ribbon mic more times than I can count & the celeste was the one heard on Buddy Holly’s “Everyday”, which Norman built himself. I worked with Norman in his Theater Studio which was built in 1969, however I first met him at the 7th St Studio in 1965. Thankyou ! I’m honored you read my post! The celesta was a highlight for me – I’ve been in love with them since RCA studios in Nashville a few years ago. Did I get the dates confused? Was this the theater studio? And built in 1969? Thanks Scott! I recorded there in the 60s and hung out with Jimmy Gilmer and the rest of the Fireballs. There were so many other great artist passed through theses doors not to mention The Norman Petty Trio with my old friend Gary Swafford on drums. Too much history for me to go on and on! Thanks so much for reading and sharing Jim. It was an awesome and inspiring spot to visit, and from the sound of it, play!